So which one would you pick? 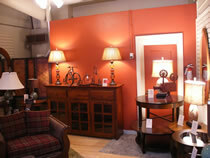 And how exactly does one choose just one of these important aspects for selecting furniture for inside their home? At Amish Originals Furniture Co., you’ll never have to make such a drastic choice as that. The reason is we pride ourselves on making all of these available to our shoppers, along with so much more. You should always be able to have quality furniture that looks attractive and also fits into your budget. We are also quite proud at Amish Originals Furniture Co. for becoming a well-known store around and outside of the Ohio area. When it comes to Amish Ohio furniture, we have come to be known as the one stop shopping destination for every room of the home – inside and out. It’s why we have become such an ingrained part of the Northeast Ohio community, especially Westerville, and even part of the rich history itself. We do this by working with more than 70 Amish families in the Northeast Ohio area. It’s what we have worked hard to do since first opening our doors in 1992. There are many reasons why you will love shopping here, but most importantly you should know why Amish is such an important choice to make. The quality is top of the line. When you shop at Amish Originals Furniture Co. you are not just buying furniture, you are investing in what is sure to become family heirlooms to be passed down for generations to come. This is the most attractive wood furniture available today. Choose from American hardwoods that are transformed into sturdy kiln dried lumber. The detailing is also stunning and all the work is done through handcraftsmanship right down to the intricate dovetailing. You are helping to keep this time-honored tradition going. By working with more than 70 families, we are able to ensure that these families are continuing their furniture building tradition. In fact during the process of building your own special order, sometimes three generations of the same family are all working together to complete the work. By choosing Amish furniture store Columbus Ohio, you are also making the choice to be more “green.” This furniture building process results in absolutely no waste since all scraps are used for anything from fuel to livestock bedding. Amish Originals Furniture Co. also takes steps to be a green company so you can be an eco-responsible shopper.